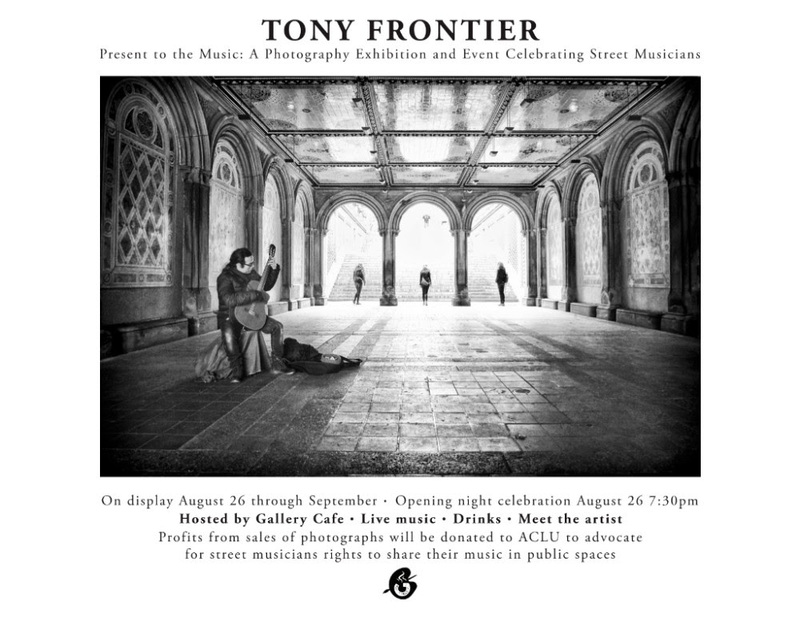 Tony Frontier has been documenting the sounds of the street and is sharing his stunning black and white photographs through his upcoming exhibition at Gallery Cafe! All of Tony's profits will be donated to the ACLU to support the rights for musicians to play in public spaces. Join us on the 26th for this special and unique opening event. There will be live street performers, food, drinks, art, community, and more!